Behbahan Khatam Alanbia University of Technology. The head Faculty of Science, University of Behbahan Khatam Alanbia University of Technology. Real member of the Council for Research and Technology, University of Behbahan Khatam Alanbia University of Technology. 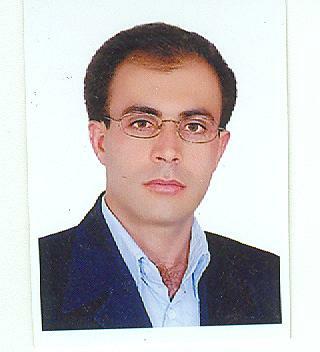 Advisor of Association of Biology, University of Behbahan Khatam Alanbia University of Technology. Advisor of Shahed and Gallantry students in Faculty of Science, University of Behbahan Khatam Alanbia University of Technology. Actual member of staff of martyrs and veterans, University of Behbahan Khatam Alanbia University of Technology. Education and Research Deputy of Faculty of Science, University of Behbahan Khatam Alanbia University of Technology. The head of green area portion in Boroujen municipality. The head of the planning committee for the anniversary of municipalities’ foundation, in Boroujen municipality. Manager of the optimal use of energy project in Boroujen municipality and successful management especially during the year of utilization pattern reform. The promotion assistant in the agriculture org of Chaharmahal o Bakhtiari province. Supervising engineer of the wheat project in Boroujen County. The head of the glorification and celebrating the Fajr ceremonies in Boroujen and winning the excellence level in 3 successive years. The head of education & instruction in Imam Hosseyn Basidj as a distinguished member. Assisting and cooperating in Shohada Basidj site council namely in Salehin project. Member of religious group of Ansarilmahdi in Imam Hosseyn mosque – Boroujen and acting as the head of Islamic researches project between all. The manager of the Rana ziba cultivating engineering company. The expert of Golshan cooperative productive company in the fields of Glass house produced plants & flowers. Producing a huge change & transforming in Boroujen green space and receiving several letters of appreciation. Playing a great role & having a great effect in sowing trees in Boroujen Township and receiving several letters of appreciation from different governors & Bosses of Boroujen natural resource administration. Gaining success in fighting against & controlling the calamities plagues and epidemic diseases in Boroujen Township & receiving several letters of appreciation from the headmaster of agriculture office of Boroujen Township. Serving as the councilor & adviser of the governor of Boroujen Township in the fields of employment of agriculture graduators. Membership in the center for the Basidji (The Islamic revolution semi - military and cultural special forces) elite of Chaharmahal o Bakhtiari province. Chief - editor of Payam Magazine, a political, economic and cultural magazine. The brother successor of university student basij at National Institute of Genetic Engineering and Biotechnology. Farideh Zakeri, Majid Sadeghizadeh, Mohammad Reza Kardan, Hossein Shahbani Zahiri, Gholamreza Ahmadian, Fatemeh Masoumi, Hakimeh Sharafi, Garshasb Rigi, Hojatollah Vali, Kambiz Akbari Noghabi: Differential proteome analysis of a selected bacterial strain isolated from a high background radiation area in response to radium stress.. Journal of proteomics 05/2012; 75(15):4820-32. Good Laboratory Practice (GLP) workshop, National Institute of Genetic Engineering and Biotechnology. Nanotechnology workshop, National Institute of Genetic Engineering and Biotechnology. Bioinformatics (Genomics) workshop instructor at Behbahan Khatam Alanbia University of Technology. Bioinformatics (Proteomics) workshop instructor at Behbahan Khatam Alanbia University of Technology. Endnote software workshop instructor at Behbahan Khatam Alanbia University of Technology. Design and analysis of microbiology experiments using Response Surface Methodology (RSM) and Design Expert and Sigma plat Softwares workshop instructor at Behbahan Khatam Alanbia University of Technology.